Before writing my second post,I would first like to thank all of you for your love and support.After receiving sweet responses from all of you wonderful people,I'm even more determined about my blog thingy.. While I still have to work out the problem related with Demon1,demon2 has found its solution in .... Maybelline Dream Mousse Blush in Soft Plum! Maybelline Dream Mousse Blush is a air-whipped mousse blush that feels satin-soft on skin, glides on smoothly, and blends easily for seamless color and a natural finish. Long-wearing formula provides luminous, long-lasting color on cheeks without clogging pores. 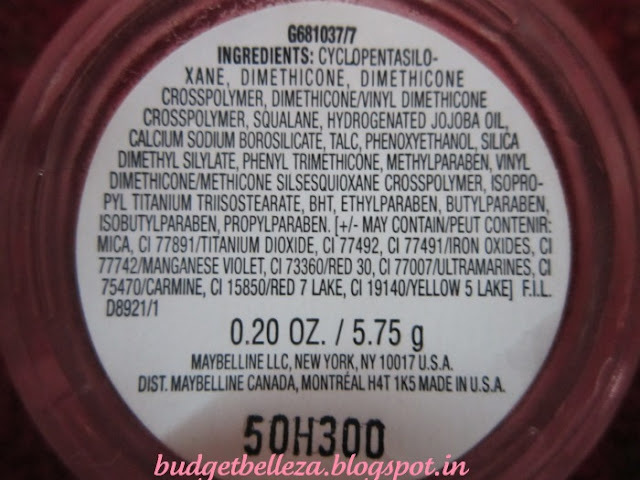 Maybelline Dream Mousse Blush comes in a small (remember the quantity,good things come in small package) pretty jar/tub.The see through glass jar containing the mousse has a plastic cap,which is interestingly in the same colour as the mousse blush (all the 5 shades have matching caps). The shade name and the number is there on the cap :) The glass jar does not appear to be easily breakable though it adds weight to the product. 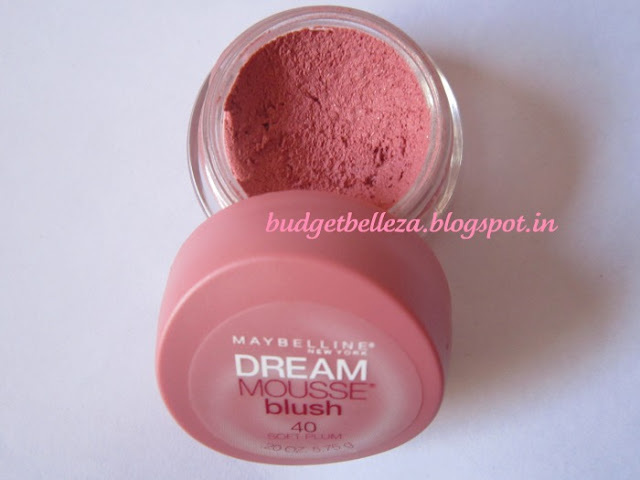 To start off, Maybelline Dream Mousse Blush comes in 5 shades (Cloud Wine,Whipped Strawberries,Pink Frosting,Peach Satin and Soft Plum).But we Indians can lay our hands only on Peach Satin and Soft Plum (remember to ask your friends from abroad to get you Whipped Strawberries,i've heard its a gorgeous shade).Soft Plum in the jar looks like a rosy pink with very slight peach undertones,but once applied it gives a very pretty rosy glow to the cheeks.It has extremely fine gold shimmer which is more obvious in the day light,but by no means it is OTT. This particular shade is quite pigmented and buildable and looks awesome when paired with a pink,puple,mauve or berry colored lipstick. Unfortunately,I suffer from this problem of loving pink lippies yet not being able to pull them off well,the reason you ask....most of these wash me out:( (specially the cool toned ones).So to take me out of this sob-sob situation,Maybelline Dream Mousse Blush in Soft Plum comes to my rescue.Infact to it goes the credit of introducing me to the world of cream blushes(read air-whipped).Its a mousse that is smooth like a dream (now that justifies the name-dream mousse). It gives a very natural glow to the cheeks.Its smooth texture makes its application pretty seamless,so its perfect for beginners.I apply it on the apple of my cheeks using my fingers only and that saves me the hassle of using a brush.It gives that pinched cheeks kinda colour which is subtle enough for everyday use and it is buildable too for that "rosy evening look".It lasts for about 3-4 hours,though for the evening party look I set it up with a powder blush.All in all its my everyday blush! 1.Saves me looking washed out and pale. 3.Jar is small enough to carry in bag. 5.The cap/lid depicts the colour of the blush. 6.Blush has a shade name. 8.Decent staying power for the price. 11.One jar lasts for a pretty long time. 1.Glass jar has a risk of breaking. 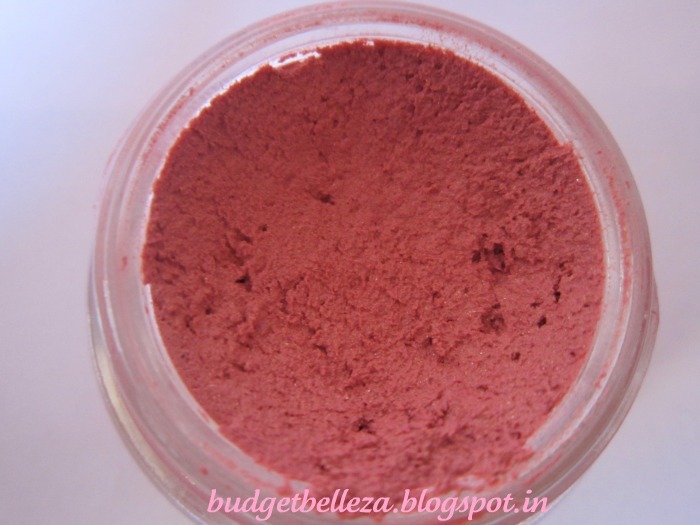 2.Only two shades (peach satin and soft plum) available in India. Its my all time favorite everyday blush.It does not stay all day long but for this price i don't even expect it to.I'm sure most of you have used it at some point of time,for those who have not...grab one! I don't think it will finish anytime soon,once it does I'll surely repurchase it. @Bidisha-Thank u so much..u dunno how uplifting ur comments are..totally love them! !Will surely come up with more! The color is very pretty. I have been eyeing both of them for quite some time but never get around to buying them! Love your blog, just followed you! Would love it if you could stop by my blog and leave me some feedback and possibly a follow if you like what you see! 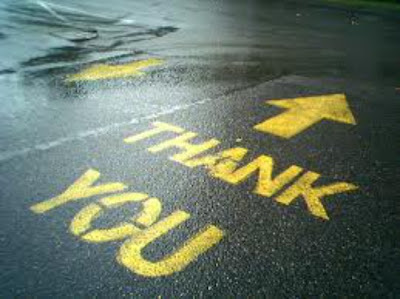 Thanks so much, and keep up the good work! Nice review of a pretty good blush.any online store from whr v can buy dis? @Jazmin-Indeed a very natural n pretty colour! @Shruti-Thanx n same pinch!I too love it! @Emm-Give it a try,im sure u'll like it! @Justinerawr- will follow u for sure n do all i can! @BBella- Thanx..sure count me in! 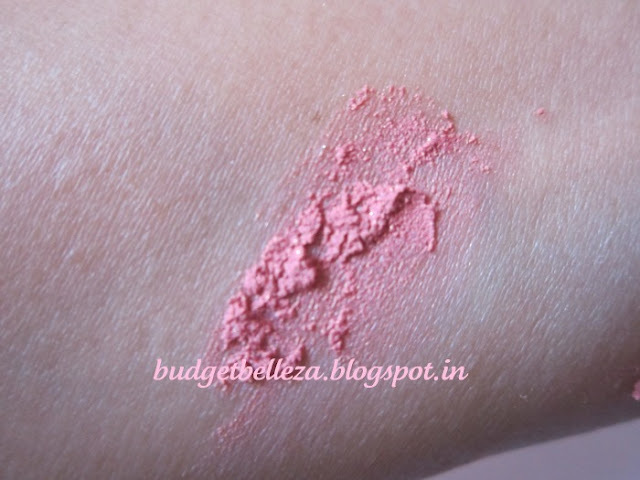 Yeah even i have used this blush and it is really worth..it gives natural glow to our face..Thanks for sharing! Thanks for appreciating..love it too!